All the promotion, interviews and the program itself made clear that the challenge wasn’t a side-by-side race. In Phelps vs. Shark, we enlisted world-class scientists to take up the challenge of making the world’s greatest swimmer competitive with a great white. The show took smart science and technology to make the challenge more accessible and fun. I get the defense. While it might have been entertaining to have the winner eat the loser, the whole line of thinking on this show exposes what I think is the biggest problem with science on tv. It’s dumbed down way, way more than it needs to be. If we’re going to highlight the competition between sharks and human beings, let’s film and present where the real competition happens: the occasional shark attack and the organized human response in “culling” animal populations. How do predators at the top of the ocean food chain (remember we fish for everything we can eat) get in each other’s way? When I was a kid, I looked forward to the occasional rare foray into nature-oriented tv. Jacques Cousteau. Wild Kingdom. In the 80s and after, the exquisite documentaries by David Attenborough. This kind of viewing is excellent. My dad, a working-class guy with no college education, loved to share the viewing and discuss the finer points of these shows. The brief spectacle of a CGI shark swimming next to a competitive Olympic swimmer is worth some seconds. As part of a longer, more informative program. Why not let the “world-class” scientists set the agenda for contributions to a show that would interest, educate, and entertain? Do people realize that genetically, a goldfish has more in common with us than with a shark? That these large sharks take twice as long as humans to reach full adult maturity, and that they love for decades? That sharks have a very long natural history, and that they are much, much older than primates? That the shark modus operandi for predation is to wound their prey, wait for them to tire out, then consume at a later leisure. 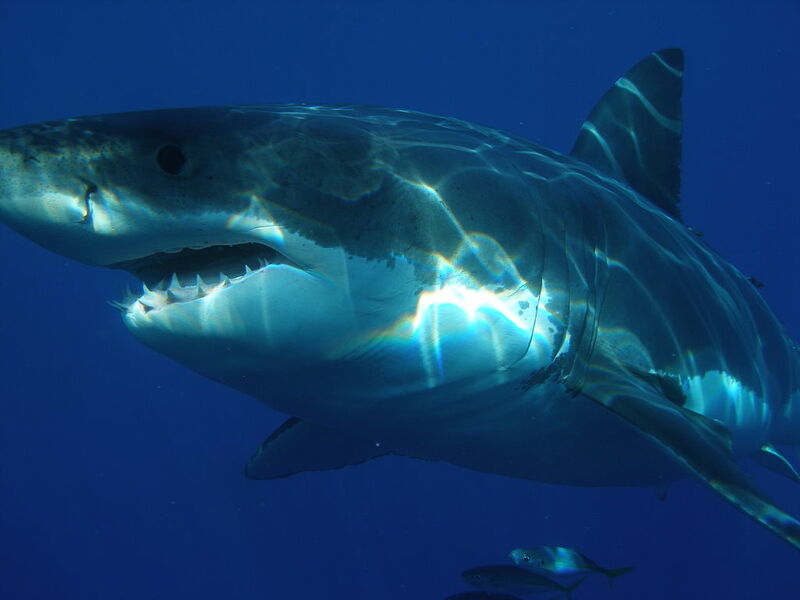 Humans spoil the show for the great white because we help our wounded out of danger. Too bad we can’t help these wounded tv gurus out of their messes. This entry was posted in Science, television. Bookmark the permalink.